Sapaan singkat yang kita lontarkan akan membuat kesan lebih akrab antara dua orang, dan pastinya akan menunjukan bahwa kita orang yang peduli dengan sekitar . 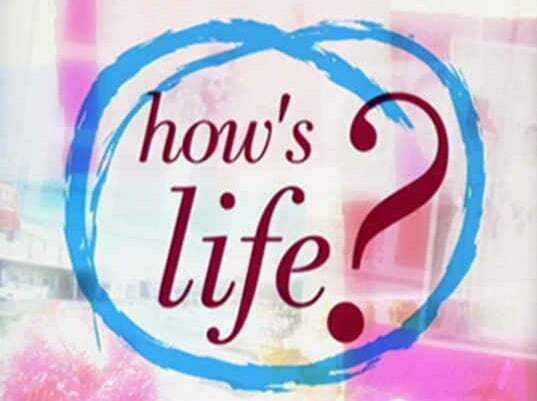 Dibawah ini kami sudah menyiapkan beberapa contoh dialog yang termasuk di dalam “How’s life”. Siska : Hello, I am siska. What is your name? Milla : Hello, my name is Milla. Siska : Nice to meet you, Milla. Milla : Nice to meet you too, Siska. Are you a new student in this class? Siska : Yes, I am. I am from Bandung and my father has to move in Lampung so we follow him. Milla : You can take a seat beside of me. Siska : Thank you Mila. Where does she graduate from? Windy : Good morning, Sir. A man : Good morning. What can I do for you little girl? A man : Linda? Is she a student of SMP 5 Bandar Lampung? Windy : Yes, she is. A man : Yes, this is hers. Please come in. She is still at her bedroom. Windy : Thank you very much. Where dos the dialogue take place? What does Windy look for? Sinta : Hello, who is speaking now? Donan : It is Donan. Can I speak with Sinta? Sinta : Yes, it is me. What is wrong, Donan? Donan : Can you tell me what page the homework must we be done? Sinta : Page 56. Don’t you remember ? Donan : I have forgotten because my book was left at the class. Can I borrow your note book? Sinta : With my pleasure, you can take it at my home. Why does Donan call Sinta? Will He borrow her book? When will Donan come to take the book?